When selling property, most people are aware of the phrase ‘Caveat Emptor’ which simply means ‘buyer beware’. Many property sellers assume that this gives them permission not to disclose all facts about a property, leaving the buyer to take a risk on what he or she knows and doesn’t know. In New Jersey, however, the law requires that a property seller disclose some information to the buyer about the property. Failure to do so might see the contract canceled or even the owner of the property sued for not disclosing. 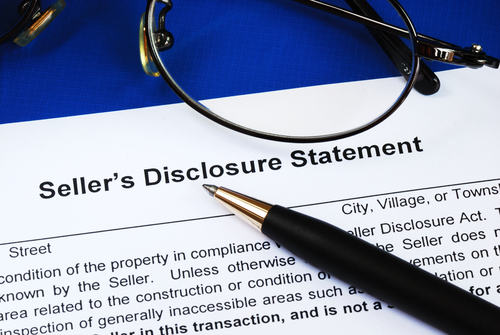 If you are selling a property in New Jersey, here are some of the things you should know about disclosure obligations. Under NJ law, the house that you are selling must be habitable. What this means is that you can’t argue that the house is being sold ‘as it is’ but that you must provide a warranty of habitability. This obligation is implied, meaning that if you don’t disclose it and it turns out that your house is not habitable, the buyer can take you to court under this clause. This means that you have a duty under the law in New Jersey to disclose all material defects about the house that you are selling. If your roof leaks for example or there is a weak drain pipe that keeps leaking, the law requires you to disclose this fact to the prospective seller. This applies to defects that are visible and not visible. Failure to disclose; or worse, giving false information about the state of a house may open you up to lawsuits in the future. The New Jersey contract of sale is a standard form that a realtor prepares for the client. This form contains all the information about the sale (agreed price, payment terms of any, etc.) The form, however, also contains all the promises that the seller is making about the property, as well as any improvements one may have made, confirmation that all necessary licenses and approvals were obtained for the improvements and so on. These disclosures are designed to protect the buyer in the possibility that the seller made some illegal improvements that might one day land the buyer in trouble. It is possible to sell property without making any repairs or modifications. In this case, it is assumed that the price that you have quoted takes into account the fact that the buyer will need to incur additional expenses to bring the house to a habitable standard. In such as case, your realtor will include an ‘As is’ clause but this, in turn, allows the buyer to opt out of a contract if, after an inspection, he or she finds that the house is not in an acceptable state. Of course, misrepresenting or failing to disclose an important fact about the house would still open you to a lawsuit, regardless of whether you have an ‘As is’ clause or not. When you are selling a property in New Jersey, one of the safest ways of doing this is to engage the services of an experienced New Jersey realtor who can guide you through the various disclosures in the most efficient manner.